Last night was a bit of a spicy chicken stirfry. 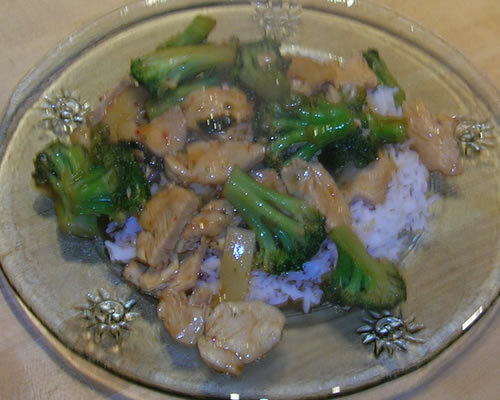 Thin-sliced chicken, broccoli, water chestnuts and bamboo shoots in a sauce of General Tsao and Sriracha… Served over rice. Pie for dessert. Tonight, Victor made a fantabulous pasta dish that had me diving for more! 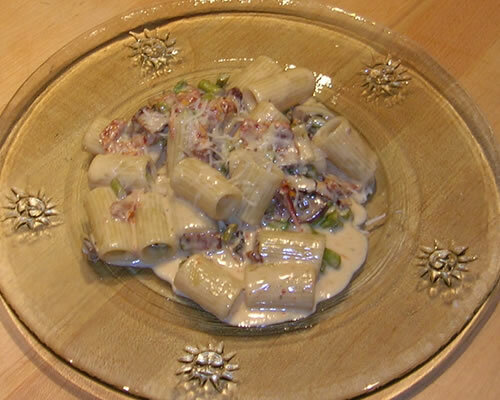 It was rigatoni in a cream sauce. With cheese, asparagus, mushrooms, sundried tomatoes, and bacon. It was freakin’ awesome! It was pretty much a heart attack on a plate, but I loved every fat-laden calorie of it. It was one of those things that he just threw together, and would never have tasted as good had he used lesser ingredients. There were only a few ingredients – but every one of them stood out. And we still have pie…..